One of the greatest gifts parents can give their children is the assurance that mom and dad love them just as they are, apart from anything that they do. But telling them once won't make it sink in. Kids need to be reminded of that foundational fact over and over, until the truth takes root deep within their hearts. In the same way, children need to hear again and again that their heavenly Father loves them and wants to spend time with them--even if they're not wonderfully talented, extremely smart, or exceptionally popular. That message of God's unconditional acceptance and deep desire to enjoy a friendship with his children is at the heart of this book. Originally published by Crossway in 1994, The Children of the King has now been redesigned to enchant a whole new generation of children. 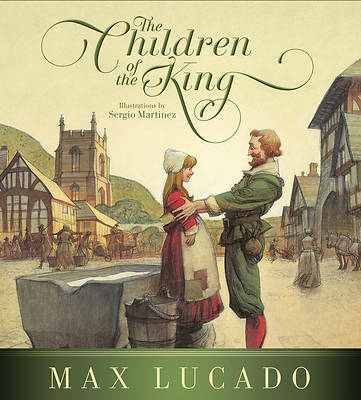 Combining the warm narrative of best-selling author Max Lucado and the engaging illustrations of award-winning artist Sergio Martinez, The Children of the King will give parents and grandparents fresh opportunities to remind children of God's never-changing affection for them. That truth--the assurance of God's delight in them--is a blessing that has eternal impact for all children of the King everywhere.